Crabgrass is an annual warm-season grass that reproduces by seed and completes it’s lifecycle in a time-frame offset from that of commonly used cool-season grasses like tall fescue, orchardgrass, and ryegrass. It begins germinating when soil temperatures reach 58°F and can thrive while other species lay dormant in the summer heat. It has few known pests and pathogens and can grow well on marginal sites. Intentionally utilizing crabgrass as forage could lead to opportunities for extending the grazing season and producing high quality hay during the warmest periods of Ohio summers. In 1849 crabgrass was introduced by the U.S. government for use as forage and has since spread across the nation. The Noble Foundation has been conducting research on crabgrass as forage in Ardmore, Oklahoma since the 1970s. In the 1980s the Noble Foundation released the first cultivated crabgrass variety, ‘Red River’, later followed by the variety, ‘Quick N’ Big’. Universities and producers have also experimented with these varieties and have found that they produce forage of excellent nutritive value with high intake and rate of gain by livestock. Under good growing conditions and management to reduce seed head development, values of up to 15% crude protein (CP) and averages of 10% CP from June through September have been observed for crabgrass ‘Quick N’ Big’. Rotational grazing has proven more efficient for dry matter production and animal gains than continuous grazing. If managed for hay, crabgrass should yield at least two substantial harvests per year. Care should be taken to keep crabgrass vegetative during production through removal of seed heads, thereby preserving good nutritive value throughout the summer. Well drained soil is best for crabgrass. It is tolerant of soils with 5.5-7.5 pH. Seed should be broadcast on a tilled soil surface or drilled at ¼ inch at a rate of 3-5 pounds of pure live seed per acre and cultipacked. 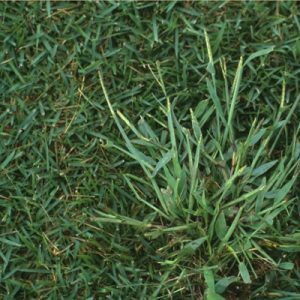 If crabgrass has established well and is allowed to reseed for the next season, lower seeding rates may be effective in subsequent years. With adequate moisture, seeds will germinate in a few days and be ready for grazing in about 30 days. Crabgrass is highly responsive to nitrogen, so split applications can generously increase dry matter yields. Defoliation heights can be tolerated to as low as 3 inches, stands can be ready to graze at 6 inches, and cutting for hay should occur during early boot or about 18 inches high. Crabgrass hay may take longer to cure than other popular forages. Dry matter yield typically ranges from 2-5 tons/acre. 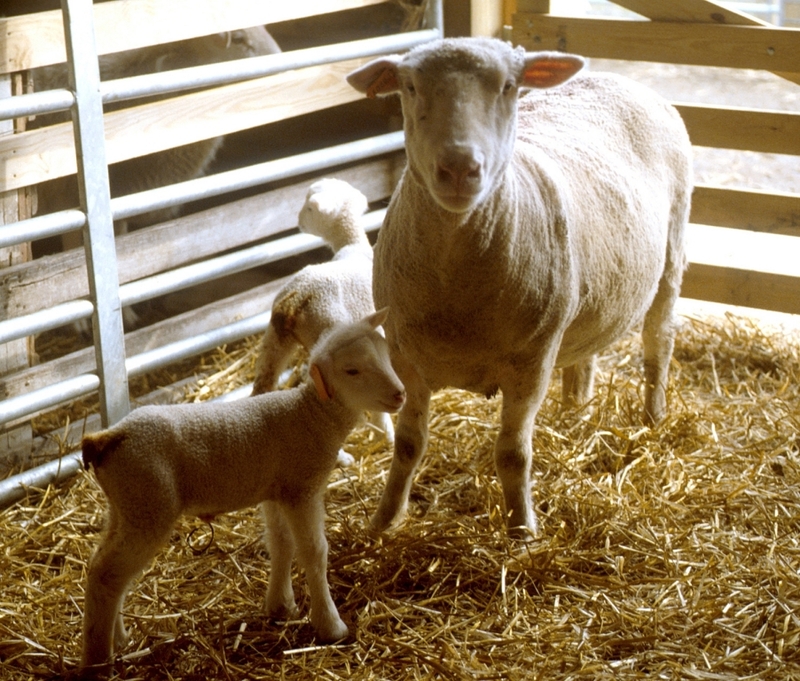 It can be incorporated in crop rotations with other annual crops, used as an emergency forage, or allowed to intermix with other forage species. It is unlikely that you will find crabgrass seed on the shelves of your local Ohio seed dealer, but it can be ordered from the supplier and variety developer, R.L. Dalrymple of Oklahoma. Your neighbors may think you are crazy if you decide to grow crabgrass on purpose, but in truth, it would be crazy to pass up the opportunity to boost forage production, animal gains, and profitability. So, while your neighbor tends to the pursuit of the perfect lawn, you can tend to the pursuit of perfect forage for your animals, which may include the “black sheep” of forage, crabgrass.